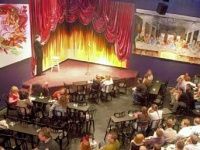 Enjoy some good laughs at these hilarious comedy clubs in PA! When it comes to funny jokes and a good time, these PA comedy clubs are sure to offer it all! Find all the top comedy clubs PA has to offer here. Located at the Ramada Inn in Whitehall, PA is Wisecrackers Comedy Club Allentown. The shows take place within the Indigo Restaurant and Lounge, on Friday and Saturday nights. Cover charge is $15.00. You must be at least 21 years of age to enter. Appearing at the venue are such talents as Buddy Fitzpatrick, Sharon Lacey, Joe Eichler, Chris Rich, Scott Bruce, Joey Novick, Paul Bond, Pat McCool, Danny Rebecca, Ken Schultz, and Joe Vega. All shows are non-smoking. 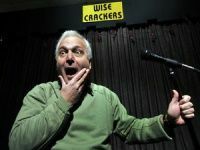 If you're looking for a good laugh, check out Wisecrackers Comedy Club in Wilkes-Barre, PA! Within this small venue, you'll find some of the most talented comedians in PA. Each show features an MC, an opening act, and a headliner. See top-class comics for a low, low price! The club is located next to the Best Western Genetti Hotel & Conference Center, so if you're staying in the area for a vacation or business trip--be sure to stop in, have a few drinks, and laugh yourself silly. Best Improv Comedy in Philly! Experience the massive hilarity of The N Crowd, a short-form improv comedy troupe that performs every Friday in Philly. Founded in 2005, the troupe has performed over 300 times in the Philadelphia area with appearances at such events as the Philadelphia Improv Festival and the Philly Fringe Festival. In true improv tradition, The N Crowd delights its audiences with 80 minutes of completely unscripted comedy. Each scene kicks off with a suggestion from the audience, making each show a funny and interactive experience. Tickets are available at very reasonable prices. If you love Whose Line is it Anyway?, you will love this show! Most Interactive Comedy Club in PA! Do you love to laugh? Do you love competitive sports? ComedySportz combines comedy and competition to form the biggest laughs in Philadelphia! Watch as two teams compete for laughs, while a referee governs the action. You, as an audience member, get to call the shots and shout hilarious suggestions. If you're lucky, you may even end up on stage! 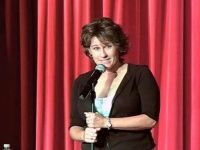 Unlike some comedy clubs in PA, ComedySportz features humor that is appropriate for all ages. Since 1993, the club has been entertaining Philly audiences with great improv comedy. No alcohol is served, but the club has a BYOB policy. Stand-up and Improv Comedy in Philadelphia! 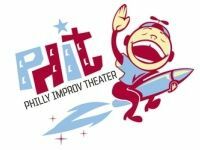 Philly Improv Theater (PHIT) showcases some of the funniest improv, sketch, and stand-up comedy that Philadelphia has to offer. The BYOB comedy club in Philadelphia holds roughly 300 performances yearly. 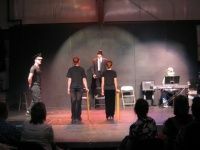 In addition to offering topnotch comic entertainment, PHIT holds classes in improv, sketch comedy, and stand-up. Students and instructors have gone on to perform on stage at the venue. Certain alumni have performed at comedy festivals around the country, became published authors, or went on to write or act for TV! Tickle your Funny Bone in Pittsburgh! Established in 1982, The Funny Bone has been entertaining Pittsburgh audiences for over 29 years! Once you're seated, you'll have an extremely close view of the performers on stage. 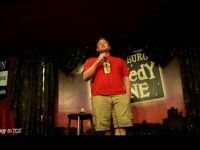 The Funny Bone runs periodic promotions, like $5.00 all-you-can-eat buffets on Tuesdays and $2.00 covers on Wednesdays. Noted comedians like Jay Leno, Drew Carey, Jackie Mason, Dennis Miller have made past appearances at the famous PA comedy club. Current regulars include such talents as Lewis Black, Tracy Morgan, and Mitch Fatel. One of the Top Comedy Clubs in Philadelphia! See more comics per show than at any other club at the Comedy Cabaret Northeast! Showcasing live comedy every Friday and Saturday, Comedy Cabaret has been voted Philadelphia's Best Comedy Club. If that's not enough, the club offers free parking and some of the least expensive drink prices by far! Located within the Ramada Hotel in Philly, Comedy Cabaret also offers the longest running, most successful comedy class in the tri-state area. Are you a budding stand-up comic? Every Wednesday night is Open Stage Night! See why this top comedy club in PA has been celebrating over 25 years in the greater Northeast! 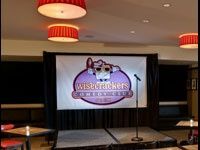 Located at the Clarion Hotel in Scranton, PA is Wisecrackers Comedy Club, where something funny is always going on! Shows are Friday and Saturday nights at 9 P.M. Cover charge is $15.00. The PA comedy club is located within the Hub Lounge. Feel free to order from the delicious menu, including such delights as "ultimate" nachos, jumbo wings, beer-battered onion rings, Angus burgers, club sandwiches, and Buffalo chicken sandwiches. Doors open one hour before showtime, so be sure to find a good seat. Situated within Hoag's Celebration Hall in State College, PA is Wisecrackers Comedy Club, one of the most fun comedy clubs in Central PA. Ticket prices are very affordable, at only $15.00. Wisecrackers is jointly owned by a small group of local comedians, and features comics who've appeared at acclaimed clubs in New York and Los Angeles. Performing at the State College venue are such talents as Tom Anzalone, Brad Lowry, and Scott Bruce. The comedians are also available for fundraisers at one of Wisecrackers' four PA locations or at the facility of your choice. One of the Great Comedy Clubs in PA! Formerly called the Villa East Comedy Club, Stitches has been featuring the best comedians from across the country for over 23 years! 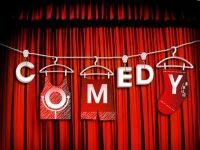 Such famous comics as Drew Carey, Lewis Black, Darrell Hammond, Jim Breuer, and Jim Norton have played at this top comedy club in PA.
As the title of the venue suggests, you will leave the club in stitches! Showtimes are Friday at 9 P.M., and Saturday at 8 P.M. and 10:15 P.M. You must be 21 or older to enter the club. One of the Top Comedy Clubs in PA! Helium Comedy Club has two locations: one in Portland, Oregon and the other right in the heart of Philly. The PA comedy club features such top-class performers as Tom Papa, Carlos Mencia, Paul Mooney, Patrice O'Neal, Christopher Titus, Charlie Murphy, Dom Irrera, and Ahmed Ahmed. Stop by for Helium Happy Hour, which is every Wednesday, Thursday, and Friday. Indulge such specials as $2.00 Bud Lights, $2.00 Soco shots, $2.00 Heinekens, and $6.00 martinis. If you're looking for a fantastic comedy club with quality acts, reasonable ticket prices, and clean facilities--Helium is the premier spot! One of the Most Famous Comedy Clubs in Pennsylvania! 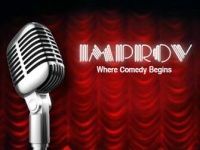 For a fun-filled night on the town, why not check out the world-class Improv Comedy Club in Homestead? Located in the Pittsburgh area, the club boasts a roster of talented comedians; including Doug Stanhope, Tammy Pescatelli, Carlos Mencia, Steve Lemme, Kevin Brennan, Jim Breuer, and Kevin Nealon. The ticket prices are reasonable, the staff and atmosphere are topnotch, and the menu contains a large variety of delicious items to satisfy your hunger. 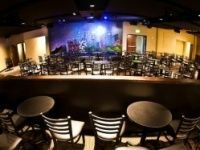 If you're planning an upcoming event, the Improv accommodates groups of 10-400 people. One of the Finest Comedy Clubs in Western PA! 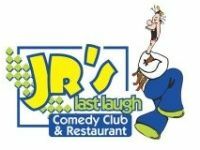 Stop by Jr's Last Laugh Comedy Club & Restaurant for first-class comedy and first-class food! Showtimes are Thursdays at 6:30 P.M., Fridays at 6:30 and 9:30 P.M., and Saturdays at 6:30 and 9:30 P.M. The kitchen opens at 5 P.M. and the menu offers a nice variety of sandwiches, soups, salads, appetizers, and other munchies. Favorites include the deep-fried "Schrooms" and the Philly steak sandwich. Knock back a few cocktails at Doug's Punchline Bar, featuring daily drink specials. Jr's keeps the laughs coming, showcasing new comedians each and every week. 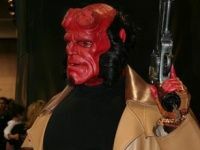 The club also promotes PG-type comedy, with acts that are appropriate for all audiences. One of the Best Comedy Clubs in PA! Check out the Philadelphia area's best professional comedy shows every weekend at Chuckles Comedy Club! Headliners at the club have been featured on Fox, Comedy Central, HBO, Showtime, MTV, and other major networks. 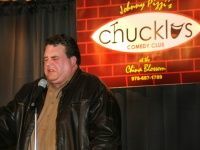 Chuckles has been voted as the Best Comedy Club by a great number of voters on Philly's Hot List. Receive the gift of laughter, as all visitors get into the club free on their birthdays (with valid ID). Due to the adult nature of the comedy acts, all guests must be over 18 to enter. One of the Great Little Comedy Clubs in Philadelphia! 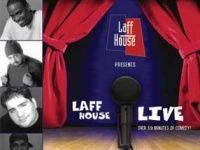 If you're looking to check out an exceptional, hole-in-the-wall comedy club in Philly, get your laugh on at the Laff House. The atmosphere possesses a homey, intimate feel. The Pennsylvania comedy club features many hilarious ethnic comedians, like Paul Mooney and Kevin Simpson. Every Wednesday is Open Mic Night, so if you're feeling adventurous enough to try your hand at stand-up--don't be shy! A trip to PA is not complete without checking out one of the top live entertainment venues in Philadelphia! See Top Comics Perform in PA! Located in Georgine's Restaurant in Bristol, PA, The Comedy Works has been bringing top comics to the Philly area for over 25 years! To top it off, the club offers free parking and no drink minimums! Guests ages 13-16 are permitted, with adult supervision. 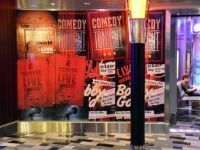 You are bound to see great up-and-coming talent, as such renowned comedians as Jerry Seinfeld, Jim Carrey, Jay Leno, Eddie Murphy, Paul Reiser, and Howie Mandel started out at the venue. Current talents at The Comedy Works include Rich Vos, Lisa Lampanelli, Jim Norton, Keith Robinson, Paul Tompkins, and Jim Florentine. 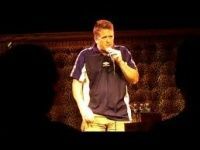 Hilarious Comedy Club in Pennsylvania! Also located in Philadelphia at the Ramada Northeast, the Comedy Cabaret has been putting smiles on audiences' faces for over 24 years. Located atop Pocos Mexican Restaurant in Doylestown, the club spotlights such acclaimed comedians as Jim Norton, Terry Gillespie, and Pat O'Donnell. Choose from a delicious menu selection, as you laugh it up at the excellent talents on stage. You must be 21 or older to enter. Comedy shows are every Friday and Saturday night. Gift certificates are available on the website. Laugh out Loud at this Comedy Club in PA! Enjoy gut-busting shows every Friday and Saturday at 8:00 and 10:30 P.M. at the Harrisburg Comedy Zone! Each three-act comedy show features an opener, a feature, and a nationally known headliner. Check out topnotch featured comics like Jim Norton and Josh Blue. The venue accommodates up to 175 guests in a comfy setting, and you're always provided a perfect view of the stage. In addition to enjoying some of the finest comedy in PA, you could order a scrumptious meal at Doc Holiday's world-class steakhouse. Check the website for great packages; including a Dinner, Show, and Hotel Package for only $59.00 per person! One of the Coolest Comedy Clubs in Pennsylvania! Bringing you premier comedians since 1992, Reading Comedy Outlet invites you to a night of laughter, fun, and relaxation. Showtimes are every Friday and Saturday night at 8:00 P.M. Doors open 1 hour before showtime, so you're guaranteed good seating for each show. Do you want to grab a drink after the show? Pull up a seat at the Alley Oops Bar. The menu contains great food selections like club sandwiches, burgers, and funnel cake fries.